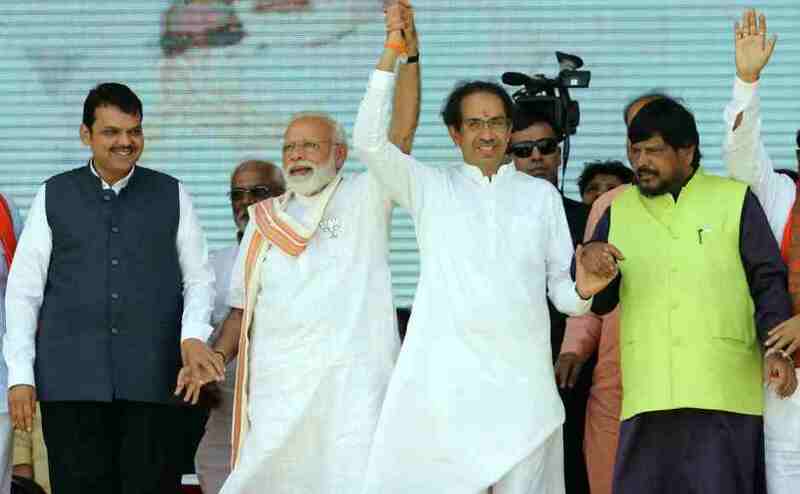 Prime Minister Narendra Modi shared the stage with Maharashtra chief minister Devendra Fadnavis, Shiv Sena president Uddhav Thackeray, Republican Party of India leader Ramdas Athawale and others during the rally in Ausa, Latur on Tuesday. 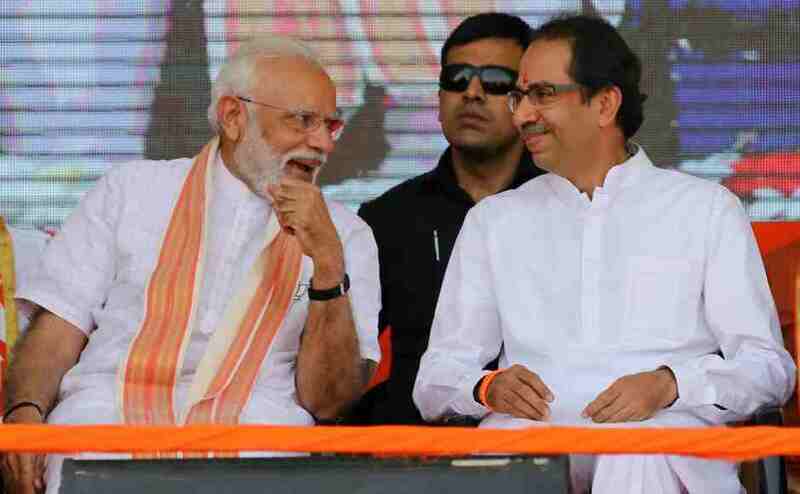 Narendra Modi with Uddhav Thackeray at the election campaign rally in Latur in support of alliance candidates. 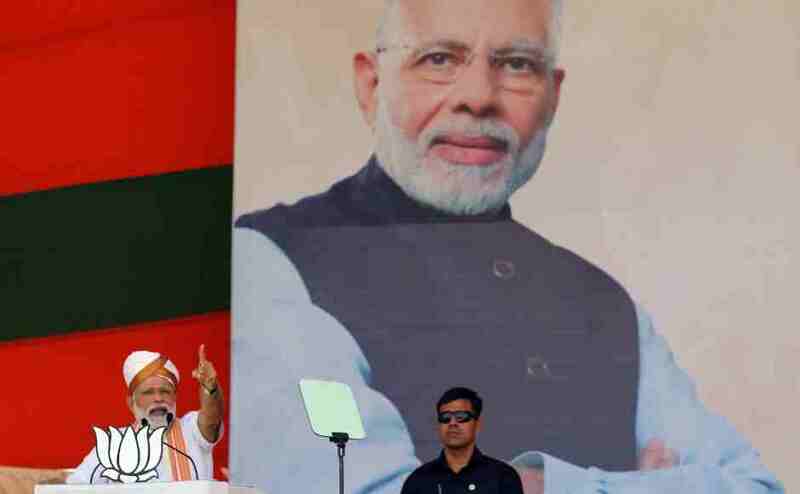 The leaders shared the stage after a gap of nearly four years. 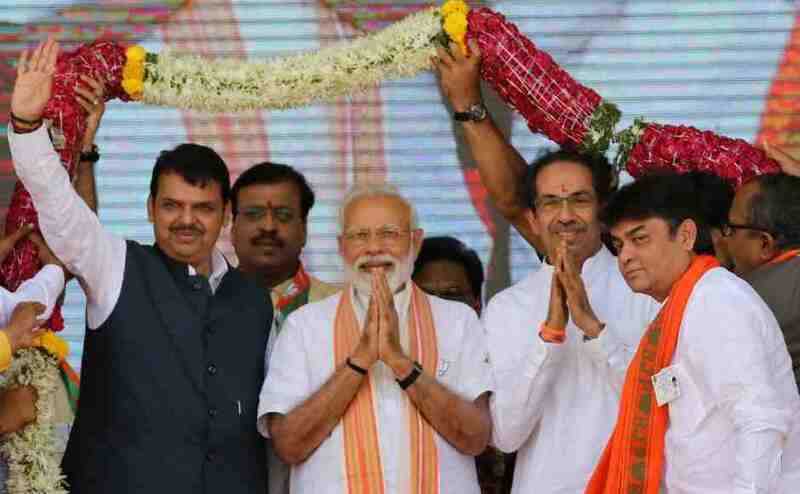 In December, 2016, Narendra Modi and Uddhav Thackeray had last shared the dais in Mumbai at a function to lay the foundation stone of the Chhatrapati Shivaji Maharaj memorial off the Arabian Sea. 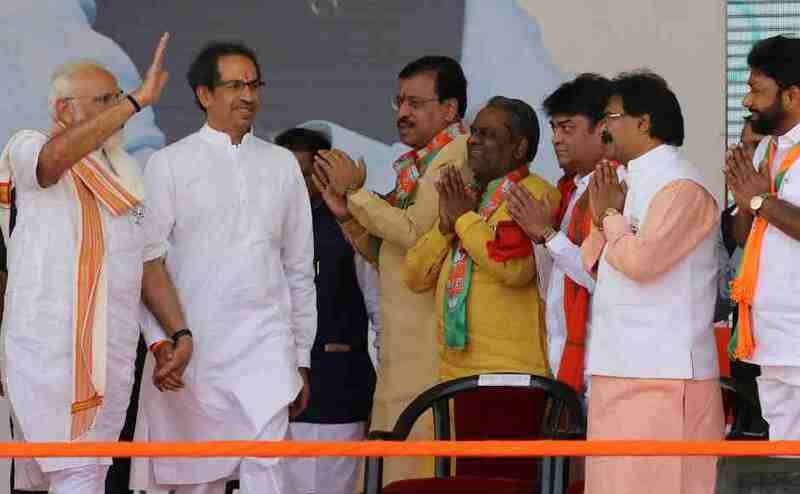 Both the leaders gathered in support of alliance candidates in Latur and Osmanabad, where polling will be held on 18 April. 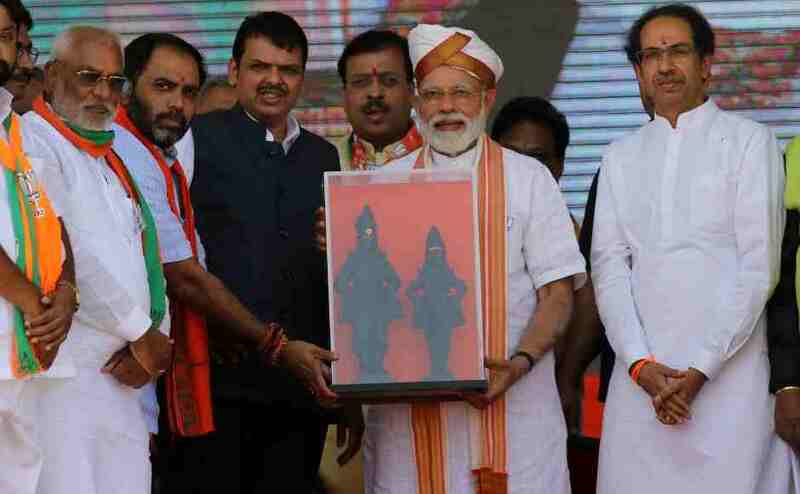 The prime minister held a memento as he stood beside Uddhav Thackeray, Devendra Fadnavis and other party leaders. 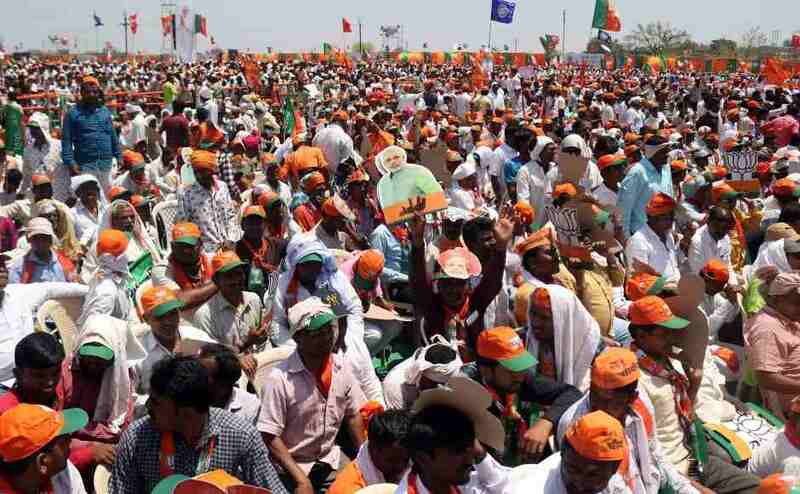 Modi told the crowd that their first votes should be to ensure that water reaches the fields of farmers. 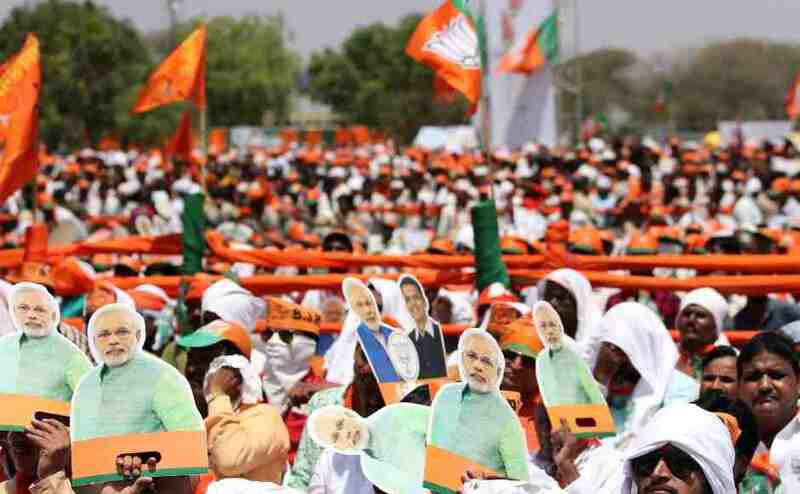 Modi also told the crowd that the Congress manifesto resonated Pakistan's stand on Jammu and Kashmir. 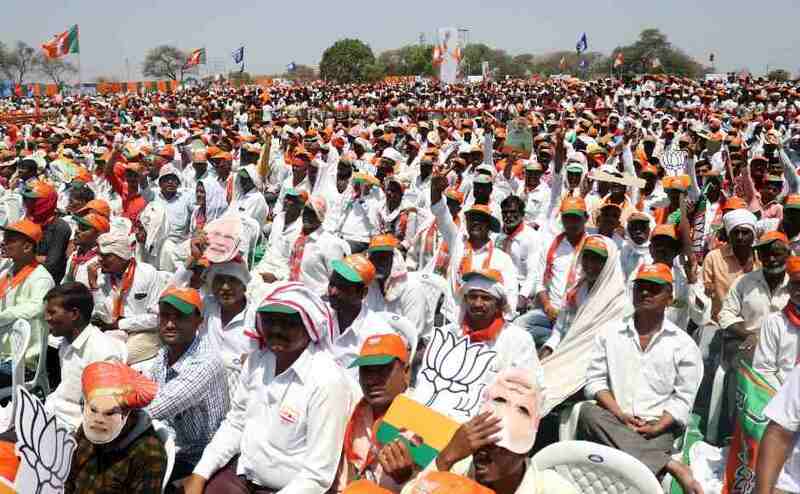 The prime minister also promised a separate ministry of water for drought-hit Latur which, he ensured will provide fair distribution of water.